I was very pleased with Ralph my instructor. He did an “excellent” job preparing me for the written, oral, and practical exams. Ralph is dedicated to getting his students signed off and making sure that they are safe. 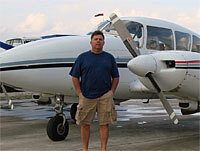 I would recommend your service and Ralph as a CFI to others in my situation. I would like to thank you for the great experience with AFIT. As an older pilot I was concerned that I might have trouble learning and processing new information. John was fantastic. His knowledge of instrument flight was very remarkable, as was his ability to teach. I made a very wise choice training with AFIT. I am totally confident in my skills as an instrument pilot now, instead of just passing the test. After reaching 10,000 hours commercial multi engine, the instrument rating will be a very welcome addition, and I am sure I will be a safer, more proficient Pilot. I would highly recommend AFIT and John as an experienced professional pilot and I will be sure to return for recurrent training. 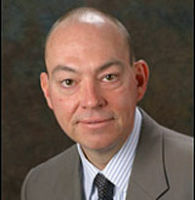 I wanted to let you know how my training went in Denver Co. First, I would like to let you know that John was excellent. While I had some uncertainty about going to Denver to do my commercial training, I am very glad I did. This trip presented me the opportunity to fly in some weather conditions unlike anything here in California. By far, the most challenging part of the training was flying in Denver’s weather conditions. Wind kept us from landing at the departure airport on day 3 and nearly kept me from taking the check ride. John worked around those conditions and was a major part in the timely completion of the training. Not only was John excellent with the commercial training instruction, but, I learned a great deal about flying in crosswind and freezing conditions. This training was a huge part of my flight training and was consistent with the quality of my instrument flight training I received from AFIT for my instrument training. After getting both my instrument and commercial training with AFIT, I am extremely pleased with your company and I would highly recommend AFIT to anyone! 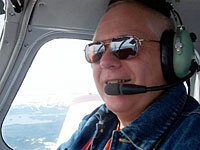 John is a gifted flight instructor and due to weather issues trained me in IMC at least half of the time. In 10 days he accomplished what would have taken me 18 months to achieve given my busy work schedule. Thank you AFIT! My schedule is one that has never let me complete the IFR rating due to time and or the lack of time. Being a person of many hats, the little time I have, I spend with my family, and fly only as much as I can. This made it impossible to have conventional training on the weekends for one hour at a time. As you know this situation put me down to the last week before my written expired. Luckily I went on line and searched for IFR Training and you guys came up. I sent you an email not sure as to what I would get, when you returned the call for help when in an hour I felt better about what I might get. When you said Bill would come to me and allow me to maintain a bit more family life each night that was even better. I must say Bill and I had a special time. The weather went south for the check ride, then Bill called and said pack your bags, we are going to Texas, I knew he knew how to get this done. Under the worst of situations, we made a plan and got it done. We flew to good weather, we went to an area where he knew what to do and introduced me to the examiner I needed to know to accomplish the rating in 6 days. I must say thanks to Bill and your group. Even when the it seemed impossible to get the rating in time, you guys pulled it off. I learned more about IFR in one week than two years of training on weekends and one hour at a time. Hitting it hard and constant is the way to go….. Thanks again, and my hats off to you Bill..!! This was one of the biggest adventures of my life, flying my new plane cross country while learning IFR. John is truly one of the most experienced and knowledgeable pilots I’ve ever met. I researched many options before deciding to work with AFIT. I needed a program that was both fast and would make me a confident IFR pilot. I did not want to work with the traditional method of flying a hour or two a couple times a week. I already had my instrument ticket but have not utilized it for 12 years. After just 11 hours flight training I feel that my skills are better now than when I took my check ride some 15 years ago. Cholena is a true professional Instrument Flight Instructor. You can tell she eats, sleeps, and dreams of IFR flying. During our training we flew many days in serious IFR conditions. I felt at ease from the start with Cholena in the plane. She explained every detail in easy to understand terms and offered several acronyms and tricks to remember complex skills. I can not say enough about her professionalism and dedication to her job. Bill is everything you advertised and more. You can add my endorsement to his long dossier of glowing remarks. There are not enough superlatives to describe the man. I found him to have the patience of Job, the aeronautical wisdom of Solomon and the teaching ability of Socrates. In addition, he is of upright moral and ethical character, seldom found these days (he humbly assures me that Texas is full of such individuals, but they sure are rare in Jersey). He is the kind of guy with whom you would go to war or fly IFR in confidence. I could not have asked for a better teacher–hands down the best instructor I have ever had. I count him as a friend and mentor. I want to start out by saying how great Ed was as an instructor. Prior to him finishing up my training I had taken the Oral part of the IFR check ride and didn’t even come close to passing. Ed arrived and informed me of what I needed to really look at closely and was able to explain to me what knowledge I was missing or had issues with. He worked with me for hours on holds and getting those down to a science and helped me to understand it in my language of understanding. I plan on doing my Commercial and would like to have Ed back for that. I can only speak very highly of Ed and appreciate him very much for helping me pass my Check ride. I have to tell you that the experience and quality of training I received was hands down first class. My instructor Cholena was extremely knowledgeable, patient and one of the best pilots I have had the pleasure to fly with. I am amazed and proud of what I have achieved with my training and passed my instrument check ride with ease and confidence. I wanted to drop you a note to thank you for hooking me up with Ralph. He is a great instructor and was very patient and supportive during my first day of “nerves.” I have flown with many different instructors over the years and Ralph ranks right at the top. I look forward to flying with your organization again in the future. Just wanted to drop you an email and say thanks for everything. I went to Placerville, California and took your 10 day IFR course with Cholena and I have my IFR ticket in hand. The training was very intense. I flew almost 50 hours in congested airspace, at night, and actual IFR conditions but I was truly blessed to have flown with Cholena. She is easily the finest instructor I’ve ever had, and she made everything come together for me. I feel confident and safe after taking your course. I wouldn’t hesitate to work with you again. AFIT was an excellent finish up course for a student pilot like me. it had been several years since I had flown solo, but in no time, under my instructor John, I was current and ready to solo again. A short week later, I had my private pilot’s license. 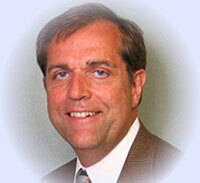 John was a great instructor, and even more so, a great all around guy. He always believed in me and never let me get frustrated in the cockpit. I know that I will keep in touch with John for years to come, and I am thankful that I had the opportunity to work with him. I thoroughly enjoyed the five days that I spent with Bill. His knowledge of the G1000 as well as 30 years of flying not only helped me pass the instrument checkride my first attempt, but has made me a much safer and competent pilot. I intend to continue training and am sure I will be calling you in the future. Thanks again. Just wanted to follow up on my experience with Ed and my IFR training with AFIT. I tried the local FBO approach for a few months and was getting nowhere. I decided to go with AFIT and your senior instructor, Ed. When Ed arrived in Oregon he immediately started with the fundamentals of setting up the airplane for various approach speeds and power settings…..very important! We covered every aspect of IFR training during the 10 days Ed was here. He was tireless and worked long hours each day getting the flying and ground school work done. Every off moment when not flying or doing specific ground school work, he tested me on the “Red Book”. He completely understood the G1000 in my Diamond which made the training much more effective. I was able to pass my IFR oral and practical test the first time because of Ed’s great training. I would recommend Ed and AFIT to anyone wanting to obtain their IFR rating and really learn what’s needed to pass the FAA oral and practical test and be a prepared IFR pilot. Thanks. I wanted to thank you again for the opportunity for Gail and I to participate in the training program you and John put together for us. As you know our flight training has been on and off again for several years and the intensive program you guys have is exactly what we needed to get back on course. 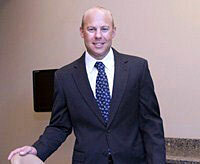 John is an incredible instructor with a natural ability to adapt to the individuals needs. Lets face it training a husband an wife at the same time in anything just has to be difficult. The experience was great and we fully expect to be back with you again in the future. I would recommend your course to anyone, it really was a great experience. I had a great time with Ms. Parkhurst. It’s taken a couple of days to decompress from the intense training but I’ve already filed twice and I’m really excited about being able to fly in the clouds. Cholena is an excellent instructor. She pushed my limits and I look forward to hearing her voice in my head as I fly. I had spent time for my practical before engaging with AFIT and never learned some of the techniques that were taught by Cholena. She has a deep understanding of the systems available and knows how to use those systems to their fullest. We flew so hard that when the check ride came along it was basically at half the pace of our training. I’m very happy to be an instrument rated pilot. I put a lot into it and AFIT made it happen. Just wanted to thank you and John in helping me get my license. I’ve had a number of instructors and John truly was the best teacher I’ve ever had. He was able to teach me to be the safest pilot in any airplane I will go on to fly, not just what I was focused on in the 172. Between his friendly, welcoming nature and his ability to teach in any variety of ways is what made this course fun, incredibly informational, and gave me everything I needed to become a safe pilot. I will highly recommend AFIT and John to anyone interested in getting their ticket. Thank you for everything and look forward to working with you again! John was a real Professional. Mackenzie had the best experience possible getting her license and it was truly because of the program that AFIT provides. Rest assured, your organization will be my recommendation from this point forward. AFIT took me from zero experience to a fully certified private pilot in just two weeks. Your total immersion program was the perfect environment to gain all the necessary skills to become a safe, competent, and confident pilot. Flying every day in the AFIT intensive flight program not only allowed me to retain and recall my previous flight lessons with ease, it also provided the opportunity to more easily build upon that skill-set which quickened the pace at which I was developing my piloting abilities. I can’t imagine a better route towards acquiring my certification. I had researched several accelerated flight schools before settling upon AFIT, and while most can offer the same time frame for completing your training, where AFIT stood out was the caliber of instructors they carry on their roster. And a good instructor will make all the difference. Ed, my instructor was more than just a great teacher, he was an invested teacher. He cared not just about the educational material that I was learning, but that I was having a fun and memorable experience along the way. In doing so, he turned what could of been two long weeks of intense nonstop arduous training into an enjoyable experience that just seemed to fly by (no pun intended). In the end, I am greatly satisfied with my time at AFIT, and would highly recommend AFIT to anyone considering gaining their private pilot license. It was a pleasure to work with John on my instrument rating. I am glad to have passed my instrument rating at the end of 10 days of flying. AFIT (John) delivered as advertised. Without AFIT, I would not have completed my training in such a short time. Taking more than two years to complete my private pilots license was not the path I wanted to follow for my instrument rating. As the new owner of a Diamond DA40XL, I didn’t want to repeat the mistakes of my private license training. The instrument training I received in my airplane has advanced my skills to be safe and proficient while obtaining the maximum benefit of a technically advanced G1000 aircraft. I enjoyed the time flying out of Boulder, CO to destinations that provided me with the opportunity to fly many different instrument approaches at airports in Wyoming, South Dakota, Kansas, Nebraska, and Colorado instead of just the local area that an examiner would use to test my skills. John provided me with tips and insights on flying beyond instrument flying that only a well seasoned professional flight instructor of his caliber could provide. I appreciate the knowledge and skills I gained from flying with John. Traveling to Boulder instead of flying locally in Phoenix during the summer was an easy choice. John provided insight on great accommodations and what to do in Boulder that topped off great days of flying. I thoroughly enjoyed my break from my day job to flying out of Boulder and would recommend John and AFIT to anyone who wants to do it right and get an instrument rating. I just want to say thank you for all your help and expertise in training me to be a better and safer pilot. I just completed and PASSED my Instrument Check Ride after 10 days with John. I have to admit it was a lot of work but I feel so good at accomplishing this goal. John was amazing as he could fly for many hours a day and remain focused and on top of the training. I felt so confident when it came time to do the Check Ride as I had many hours of practice in a short period of time which allowed me to become 100% familiar with how IFR flying works. This is so much better than the typical “fly once a week” method of learning. By doing it every day for 10 straight days it becomes ingrained in you. I just did a Demo flight in a Cessna Citation Mustang and the Cessna Operations Pilot commented on my skills of flying a Jet which I have ZERO experience in. I told him it was the recent training that I had received from AFIT that allowed me to be a confident and proficient pilot. Thanks again for a great job and helping me achieve this goal while working around my busy schedule. If you are considering getting your Instrument Rating, AFIT is the ONLY way to go. Ed was great, and happy to accommodate my time lines, night and day. Even flew to Minnesota with me. I passed my checkride without any problems. John’s a Great instructor! Very personable guy and well seasoned pilot, which is why I was attracted to AFIT (since you have mature instructors). I loved that he knows Foreflight and G1000! I learned a ton!… not just about instrument flying. Even my landings improved due to John. I did well on the exam, so the end result was great! I just wanted to take a quick moment of your time to thank you for the excellent PPL experience you made possible for me. In looking for an accelerated course for my PPL, I searched the Internet fairly extensively looking for the “right fit” for me personally and geographically. Being from the east coast, I was at first mainly focused on courses offered near to this side of the country. I noticed that your company offered accelerated PPL in a wide variety of locales. I inquired with you about your availability nearby and explained to you my goals relative to my PPL. You took that information and explained to me, in a way I understood, that you knew the perfect instructor for me. You then scheduled me with Cholena near Sacramento, CA. While that was further than I originally anticipated travelling for my PPL, after my conversations and emails with you, I trusted you knew exactly what I was looking for and with whom I should learn. You could not possibly have been more correct! Cholena is not only an advanced instructor, she is an advanced person. More than merely learning everything I needed to know to pass my written, oral and practical check ride within 14 days from Cholena, I also learned a lot about myself through her excellent manner and insightful comments about my tendencies as a pilot and how to use them to my advantage. Cholena is clearly someone who would excel at absolutely anything she ever decided to do. You are extremely fortunate to have her as an instructor at A.F.I.T.! Anything she ever taught, I would sign up to learn. To that end, you will be hearing from me very soon to continue my training with Cholena to achieve my instrument rating, and then after that my commercial rating. Your tireless help explaining A.F.I.T. to me coupled with Cholena’s mastery of the subject and masterful instruction gently ushered me to a place of great confidence as I start this road as a newly certificated private pilot! Thank you!! And THANK YOU, CHOLENA!!! I will be speaking with you both very soon! Thank you for helping me realize a dream by providing a great instructor in St George, Utah. I got my PPL after only 12 days of hard work. Days starting at 8 am every morning and ending between 8 pm to midnight some days. Eric is a “Very” talented instructor with a huge knowledge regarding mechanics, urgency procedures, pilotage,…and he holds a glider license which is always great to know when you have to deal with windy situations. The St. George Utah area is great for flying with a very large quantity of municipal airports. Weather is diversified with dry areas, snow areas, sometimes windy periods and sunny periods. The landscape is a beauty. You have to psychologically come prepared because it is very dense training. The FBO where the plane is located (a Cessna 172 with a 180 Hp) was great in Cedar City. The people were very welcoming and the price was very reasonable. Eric taught me “everything” related to basic instruments. Thank you for scheduling me with Cholena Parkhurst; she is clearly a committed flight instructor! Cholena is not only very patient, but also she has the nicest way of pointing out the student’s errors while instructing and encouraging them in proper procedures. I am surprised when I reflect on the large amount of information that Cholena taught me in just two weeks. Also, I was continually impressed with Cholena’s excellent teaching environment. With modern aircraft (two Diamond DA-20’s) at her disposal and an ideal variety of airport types/locations, airspace classes, and geography/topography within which the student can easily gain the necessary instruction and experience. These along with the consistently good weather in the Sacramento Valley were important factors for achieving success within the two week time frame. Thank you for providing this opportunity for accelerated flight instruction within an excellent learning environment and with a very caring flight instructor who was instrumental in achieving my dream of being able to fly. I finished up my training with John yesterday. I was very pleased with the training that AFIT provided. In fact, I believe I learned more in those 9 days than I had in the previous 9 months. Thank you for the congrats. It feels good to finally get my instrument rating. My experience with Ralph was first class. He is an “excellent instructor”, and it is apparent that he has done this many times before. His approach to instructing keeps things relaxed and productive throughout the training. Learning to fly by instruments was somewhat stressful, but Ralph never added to the inherent stress. I would definitely recommend AFIT and Ralph to anyone looking for flight training. Thank you for the professional experience. 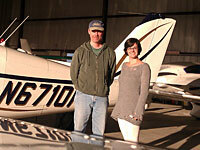 I recently completed my private pilot course in Placerville with Cholena as my instructor. Being able to receive my PPL in 11 days is due in large part to Cholena’s dedication and her being such and Excellent CFII. Building a rapport with your instructor is essential; Cholena’s constant smile made every task looks easier than it really was. She brings “tough love” to an art form – she is the friendliest person but when the situation calls for it she immediately becomes the strict instructor you need at your right side. She lets you learn from your mistakes, like the best teachers do. Her approach can be somewhat frustrating at times but is “extremely” effective. If you don’t spend too much time feeling sorry for yourself it will get you to your goals faster and with much less pain. Cholena’s aviation knowledge is virtually limitless; you’d be hard pressed to find a question she can’t answer. Even though I don’t plan on becoming a commercial pilot, Cholena’s experience flying charters made for very interesting side discussions about high performance airplanes, IFR, and the business of flying. Placerville is the ideal place for learning to fly – nice weather, above the fog line, with an endless supply of airplane time. Being 2.5 hours away from my home in the Bay Area allowed me to disconnect from everyday interruptions and focus on flying and ground work, while being relatively close to my family. This made for a relatively short course which in turn allowed me to reduce the overall cost (as well as frustration resulting from never-ending training). I would definitely recommend AFIT and Cholena to my friends, and in fact have already done so. I wanted to say thank you for your help in assisting me obtain my instrument rating. Hal was a consummate professional, with the perfect demeanor for flight instruction. We got along great for our 10 days together and I learned a tremendous amount. Hal was always prepared for the day of instruction and adapted to my schedule when necessary. I think Hal is a great asset to your company and would recommend him to anyone who is thinking about an accelerated course. Please feel free to send my contact information to anyone who is considering using Hal or AFIT. Furthermore, the more I read about the antiquated technology of the simulators used by other companies, reinforces my core belief that actual flying conditions cannot be replicated. I understand the cost of flying keeps increasing, but the savings realized using a sim cannot compete with actual flying time under ATC control. Yesterday I passed my instrument rating checkride. Wow! You cannot imagine the thrill of that. However, the reason I write is to let you know how much I owe AFIT, you, and my instructor Ed for the rating. Ed entered my training after I struggled along for 18 months trying to learn instrument flying elsewhere. I struggled with whether or not accelerated was for me, could I do it, was it a good training method, etc. After reading about AFIT in Piper Flyer I took the plunge. As you know, my wife Brenda is currently finishing up her training for the instrument rating with Ed. Accelerated was perfect for us – efficient, confidence building, and ramped up learning with no loss of knowledge along the way. With patience and eloquence, Ed pointed out numerous areas of things we needed to work on and improve techniques. Within the first day we were seeing dramatic improvement in our approach performance and radio work with ATC. I couldn’t be more positive about the AFIT accelerated approach or give anything less than an “excellent” rating to Ed our instructor. 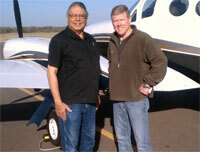 And, we did all the training and checkride in our PA32-260 Cherokee Six. Most schools want to train in their planes. We wanted to train in the plane we are going to fly. Is AFIT expensive? NO! If I would have done this right away I would have been further ahead and would have saved all the time and money wasted on less than effective weekly lessons. Hence, that total cost of training is at most the same and highly probable less with AFIT because less overall hours of instruction and airplane costs are consumed. Thanks again for helping achieve this important goal. My advice for anyone wanting an instrument rating – CALL AFIT. First of all I would like to take this time to let you know, you are a very honest and trustworthy person, and your word is good. Let people know that I should have finished my instrument rating with Bill a year ago but my mom came down with an illness that delayed my training and you still let my money be good. Bill is an “awesome instructor”, as you know, my training consisted of 7 days a year ago and then 3 days this year and I passed my check ride the first time. I would highly recommend AFIT to anyone. I hold AFIT and Bill in highest regard. I wanted to take a moment and tell you about my experience with AFIT. When I bought my plane 2 years ago, I figured I would be instrument rated within a few months. I have a great CFII that got me started, but like me, he is very busy. As time went on, I figured the only way to get this done was to get out of town and concentrate only on flying. I called you and was set up with Bill in Georgetown, TX. I can’t say enough good things about AFIT’s 10-day program. 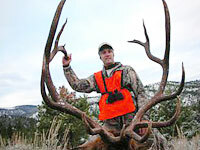 Bill works the program perfectly and has it down to a science with a dedicated human touch. We studied hard, flew long hours, ate good food, and had a lot of good laughs. From the pink cards to Bill’s “tribal knowledge”, I learned more in 10 days than I have in 2 years. I can honestly say that my check ride was my easiest day! Thanks again Tony and when I get ready for the commercial, I know exactly who to call! When I signed up to go St George and fly with Eric my goal was to attempt to obtain my private certificate, however because of my limited time, 9 days, I thought there was a good chance that I might have to return at another time to complete it. I’m pleased to say however that in 10 days (9 flying) that I went home having passed my check ride. While some credit goes to me (I did the flying), most goes to Eric. On arrival in St George, the plane he normally uses for training was down with a prop issue, he quickly hustled up a replacement, arranged insurance coverage so I could solo in it quickly, organized a prop swap after a gyro failure, all of which kept me on schedule. He also kept in close touch with the local examiner to make sure he was available as needed and some of the hours I had in helicopters would count. In fact, I ended up flying over 40 hrs by the end of everything. Eric was fully committed to seeing me succeed and went the extra mile. Most importantly, in spite of a packed schedule I had a lot of fun. Your prompt replies to email, phone calls, faxes and questions was also appreciated. Thanks.. I thought the experience was very good. The facts speak for them self, I progressed quickly and was able to pass my check ride in 8 days. Your correspondences and instructions before the training was quite sufficient and I was prepared and knew what to expect before Eric’s arrival. Eric is a “Very Good” instructor. He clearly is very knowledgeable and skilled. He is calm and explains things very clearly. I feel my general pilot skills are improved, not just the instrument elements. In fact that may be the best part of the training. I feel much more comfortable with our aircraft and have the confidence I can make it do what I want it to do more than reacting to what is happening. Working with a new instructor takes some time to accommodate. However, performing familiar task and seeing them through a different instructors perspective for me was a very good learning experience. Working through some task, from a different perspective allowed me to understand it better. Over all I enjoyed the experience and benefited from it. I recommend your program. 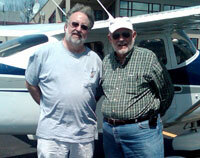 John’s vast experience added a dimension to my training far beyond the FAA standards & requirements. He made learning instrument flight easy and intuitive. It was not easy, but between Bill’s “tribal knowledge” and his experience, I was very well prepared for the flight portion, as well as I could be for someone who has a full time Dentist Practice! I wanted to send a short note saying how I appreciated the hard work John did getting me to pass my IFR check ride. My confidence was shaky at best. John kept telling me that I was going to do just fine and he was right again. I found out that John had over taught me and that the check ride was much easier than I had feared. I also became a much better bonanza pilot because of John. His knowledge of flying seemed to be endless. There were times when I asked myself if I was too old (51) to do this and why would I push myself so hard to achieve this goal. John kept encouraging me and I am now very grateful and proud to have my IFR ticket! It was not easy for me but it would have been nearly impossible to achieve this without your program pushing me to “get r done”. Wanted to let you know Bill did a “Great” job.I passed my check ride immediately after the AFIT course ended. I learned and truly understand the material now. I would highly recommend this course!